Chicken is a staple that we keep a stock pile of in the freezer. We eat at lot of breasts but I also like to buy thighs. From time to time I will even buy a whole chicken. Cheap chicken recipes for a large family is something I constantly seem to be searching for when I mean plan for my crowd of boys each week. If you know me you know that I don’t like to babysit meals, and I LOVE easy! Getting dinner on the table can be such a chore sometimes and feeding a crowd only makes things even more complicated especially when you are trying to stick to a budget. Here is some inspiration to make dinner happen easy at your house for feeding a crowd! And your grocery budget will thank you! 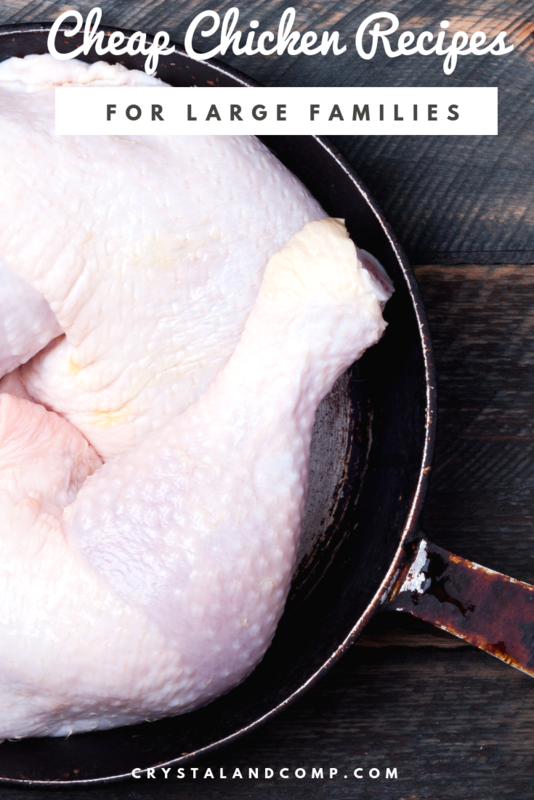 What is your favorite way to cook chicken when you’re on a budget? No matter the size of your family, if you need help getting dinner on the table join our Facebook group where we share our dinner ideas and hold each other accountable. Have you ever given freezer meal planning a try? It has changed my life in the kitchen! 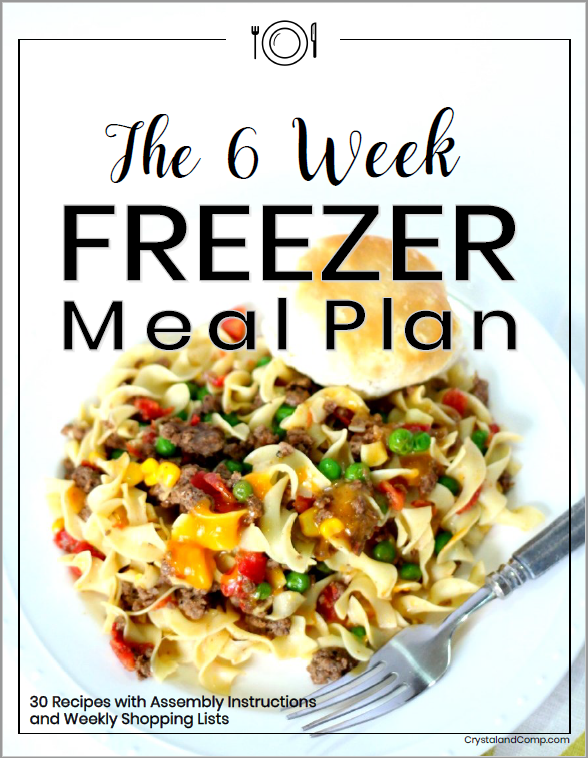 Check out our six weeks of freezer meals. You get the recipes, assembly instructions and grocery lists all broken down week by week. I think you will love them! These all sound wonderful! 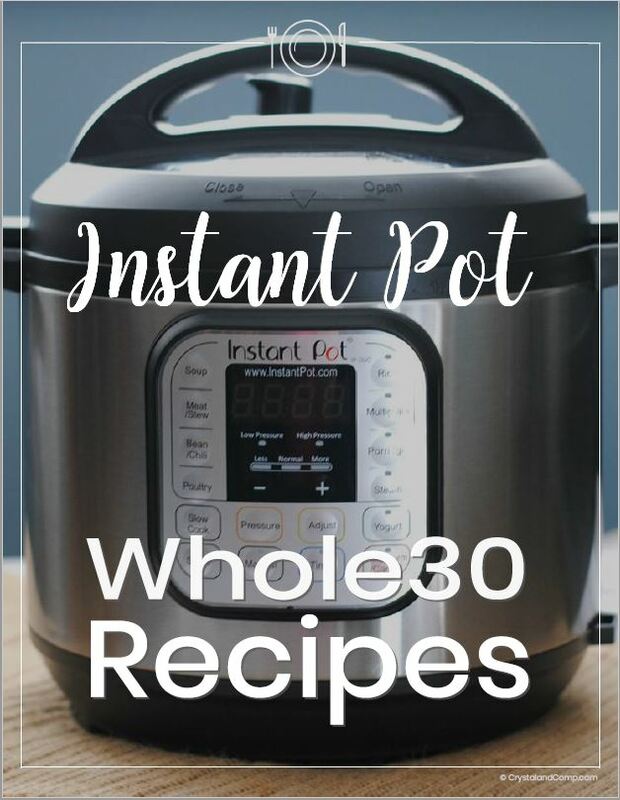 We have a chicken, broccoli and rice casserole that the whole family loves and also a chicken noodle soup but other than that we haven’t stumbled on many great recipes that the whole family loves. Pinned. This is a fantastic collection of Chicken Recipes for our big families! Hope you are having a great week and thanks so much for sharing with us at Full Plate Thursday!